Age Appropriateness Rating: NR (Not "Officially" Rated). This can safely be watched by mature students in grades 9-12 (with parental permission/supervision). There is a lot of foul language along with some very graphic sexual references, but nothing at all gratuitous. The graphicness of this film is simply a reflection of what goes on in today's American high schools. If you are shocked by what you see in this film, then you've been out of the classroom for a very long time. Accuracy: As a former substitute teacher who worked in a variety of school settings at both long- and short-term assignments while earning my M.Ed., this is the most realistic film about teaching in a modern-day urban public high school that I have ever seen. It easily makes "Dangerous Minds" look like a pandering Lifetime made-for-TV movie. 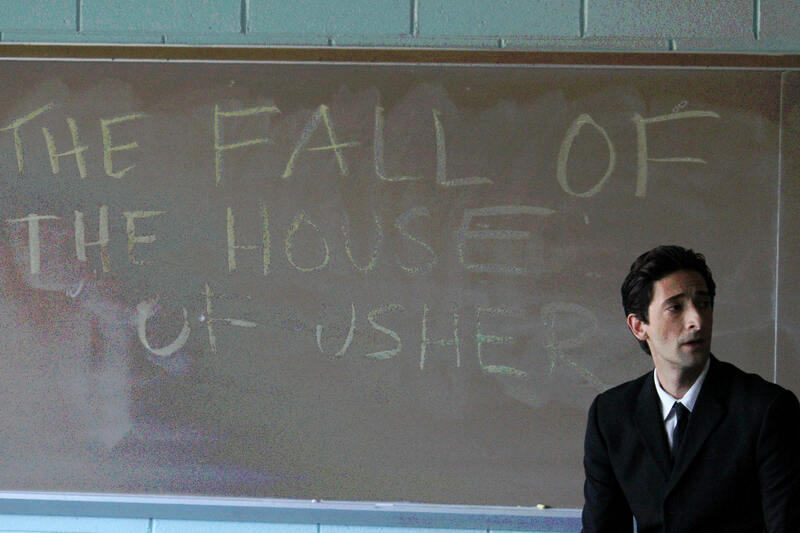 Review: Henry Barthes (played by Adrien Brody) is a substitute teacher who feels detached from the world due to lingering childhood trauma. A long-term assignment at a troubled school and the events surrounding this cause him to reverse his direction and grow attached to several at-risk teenagers. Teachers from any sort of district will recognize the accurate depictions of so many issues in modern schooling--NCLB (No Child Left Behind), standardized test scores, administrative politics, at-risk youth, parental involvement (and the lack thereof), the "dumping" of under-performing students at a particular school, the link between school rankings and local property values, sexual innuendos and assumptions regarding teacher-student bonding, teacher burnout, and so much more. I highly encourage every teacher, every education student, every school counselor and administrator, and anyone working with at-risk youth in or out of an educational setting, to see this masterfully made film. Adrien Brody (the son of a teacher himself) gives a mesmerizing performance, illustrating the way that a single person can better the lives of those under his responsibility simply by caring enough to pay attention and truly wanting to make a difference. This film has the potential to be helpful for troubled teens. That is, by watching this film, they can see that they are not alone in their home/school situation. As for education majors, this movie should be required viewing. 1. Have you known anyone who resembles the characters in this film (educators or students)? 2. 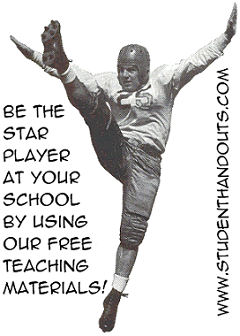 How has standardized testing influenced your education? 3. Has watching this film caused you to reconsider the way you think about teachers and school administrators? 4. In your opinion, based on your experiences and knowledge, are people who had troubled childhoods more or less likely, as adults, to want to help troubled children? 5. What ideas do you have for reaching at-risk youth? Update: The Entertainment Weekly review (available here) argues that the subplot involving Henry's quasi-adoption of a teenage prostitute is unnecessary. I disagree with this wholeheartedly. This subplot is not provocative for the sake of being provocative. The teenage girl (Erica, played by Sami Gayle) illustrates a teenager whose life has hit its lowest point--she has been failed by her family, her school, and society. Her redemption is orchestrated by Henry, and makes the point that no one is past saving. The scene at the end of the film, where Erica and Henry reunite after Erica has been taken in by the state, is the most uplifting moment in the film. We aren't treated to a young girl who has been cast aside and forgotten yet again. Instead, we see a girl with the youthful exuberance of someone who believes she has a good future ahead of her, and the thankfulness of one who truly loves and appreciates the mentor who made it all possible. Click here to enlarge the official film poster. Sami Gayle and Adrien Brody in Detachment distributed by Tribeca Film. Photo Credit: Tony Kaye. 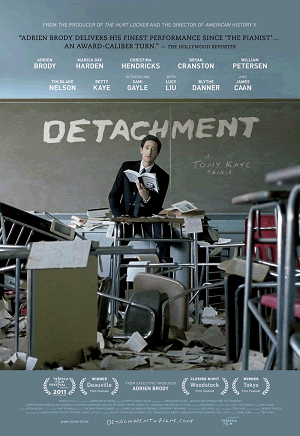 Adrien Brody in Detachment distributed by Tribeca Film. Photo Credit: Tony Kaye. Marcia Gay Harden in Detachment distributed by Tribeca Film. Photo Credit: Tony Kaye. Adrien Brody in Detachment distributed by Tribeca Film. Photo Credit: Tony Kaye. Sami Gayle in Detachment distributed by Tribeca Film. Photo Credit: Tony Kaye. Christina Hendricks in Detachment distributed by Tribeca Film. Photo Credit: Tony Kaye. 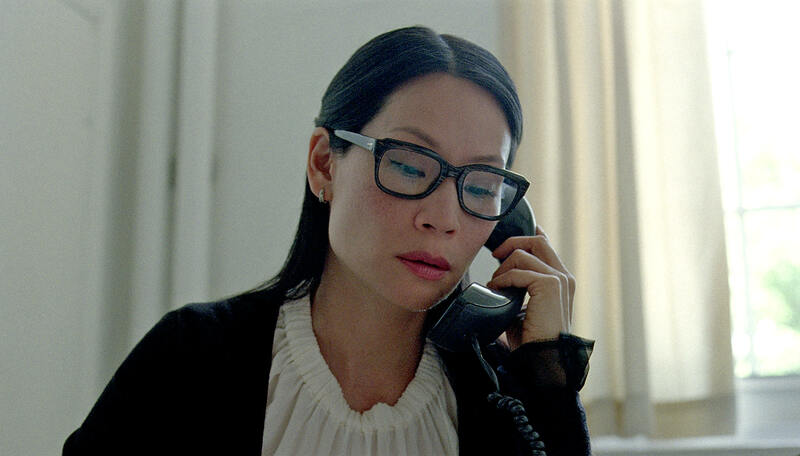 Lucy Liu in Detachment distributed by Tribeca Film. Photo Credit: Tony Kaye. 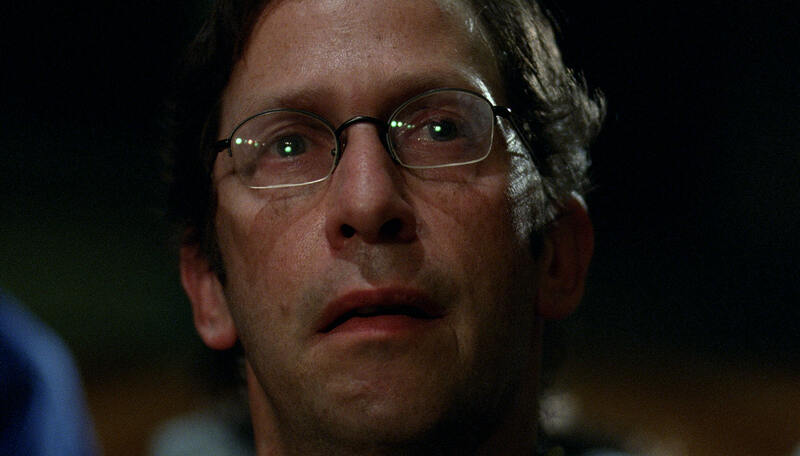 Tim Blake Nelson in Detachment distributed by Tribeca Film. Photo Credit: Tony Kaye. 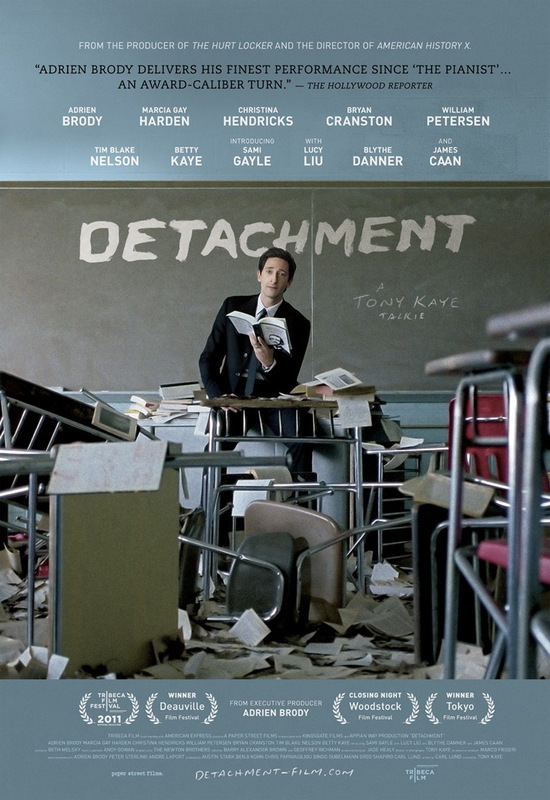 Betty Kaye in Detachment distributed by Tribeca Film. Photo Credit: Tony Kaye. 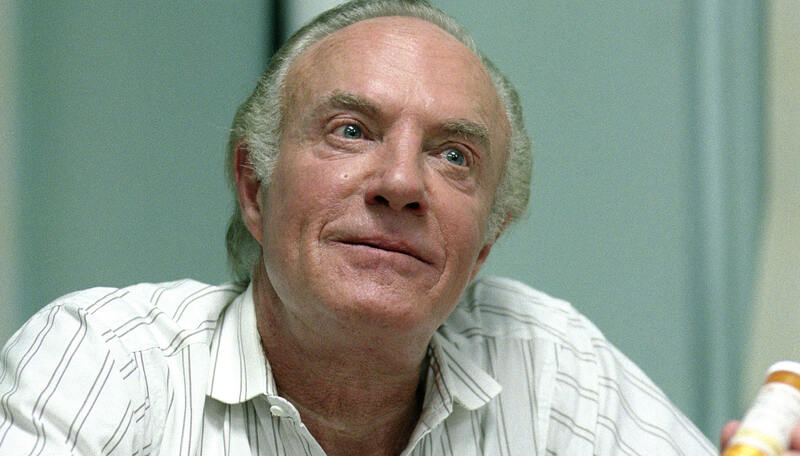 James Caan in Detachment distributed by Tribeca Film. Photo Credit: Tony Kaye. 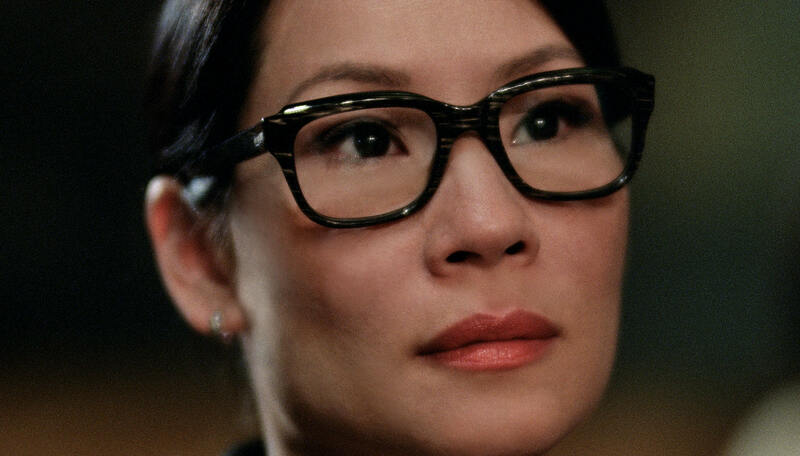 Lucy Liu in Detachment distributed by Tribeca Film. Photo Credit: Tony Kaye. 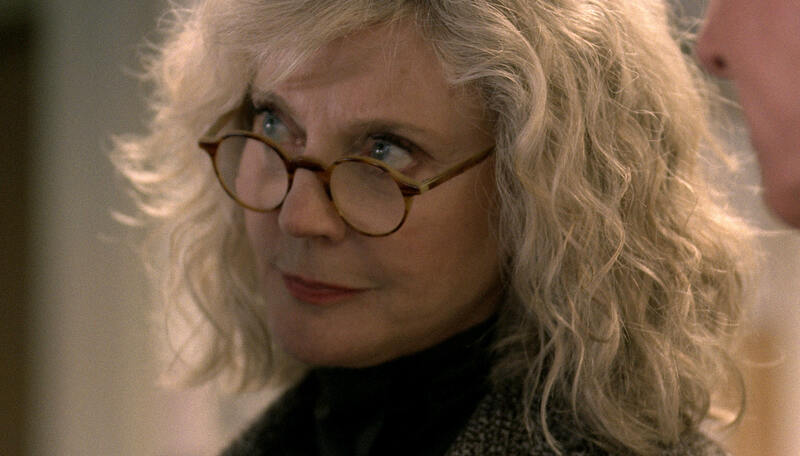 Blythe Danner in Detachment distributed by Tribeca Film. Photo Credit: Tony Kaye. Lucy Liu in Detachment distributed by Tribeca Film. Photo Credit: Tony Kaye. 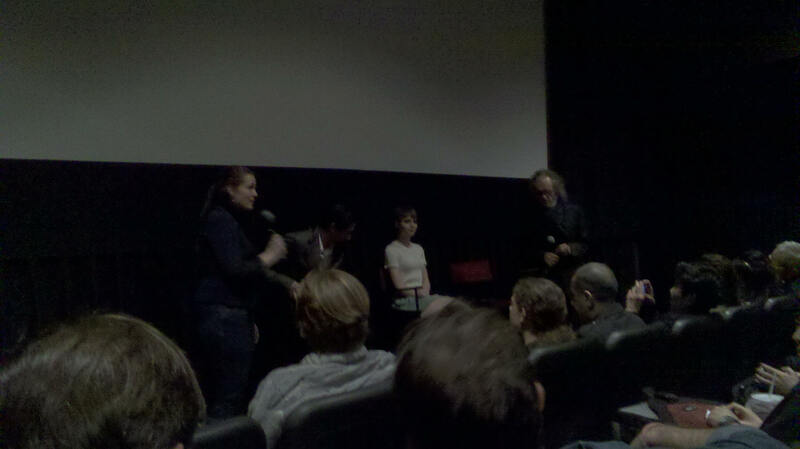 Adrien Brody (Henry), Sami Gayle (Erica), and director Tony Kaye held a question-and-answer session after the premiere-day screening of Detachment at Village East Cinema in NYC on March 16, 2012. Needless to say, it was a packed event, full of film fans as well as members of the press. 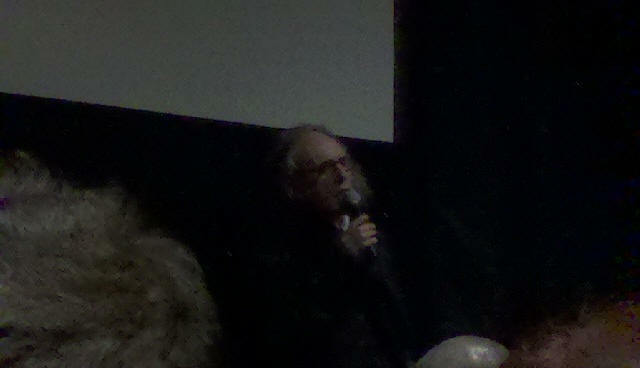 Tony Kaye discussed what this movie meant to him on both a personal and an artistic level. He also acknowledged that his daughter, Betty Kaye, played the role of Meredith. Questioners and commentators in the crowd included a former substitute teacher, who praised the film for its accurate portrayal of the kinds of events that lead to teacher burnout. Academy Award-winner Adrien Brody discussed his youthful educational experiences, including the fact that Adrien's father is a teacher. It turns out that Adrien's parents sent him to the Fiorello H. LaGuardia High School of Music & Art and Performing Arts (the "Fame" school) partially because he was interested in acting, and partially to remove him from classmates they felt were a negative influence. Sami Gayle was poised and charming. She was 14 years old during the filming of Detachment, and is now sixteen. Sami awkwardly joked that it was difficult, at her age, to do much background research for her role as a teenage prostitute. She received accolades for her wonderful performance.